Wow! This is my 100th episode for Robin’s Adventures! I can’t believe I actually lasted this long! So, for this memorable episode, I decided to write about something really, really serious. Pretty ironic since I’m posting it on April’s Fools Day. But still this is the my 100th entry! I had to make it as big as possible! And the biggest thing I could think of is a topic I tried to avoid writing about for the longest time. That would be Gamergate. And I haven’t been writing about Gamergate because I haven’t really been keeping tabs on the topic. I do know about the basics, I guess. Some guy decided to post the dirty dealings of his ex-girlfriend, Zoe Quinn, who just so happens to be a gaming developer. All of a sudden, all of the ethics of video game journalism website came into question. Were they actually colluding with Zoe Quinn so her game, Depression Quest, would get more coverage? Was Zoe Quinn giving these gaming journalists sexual favors for better press? But the thing is, were gaming news sites ignoring this possible issue? Soon, thousands of gamers were tweeting about this. It all snowballed from there. After this point, the story becomes a little muddled. The story then diverges widely between two paths. On one side, we have people saying that gamers are misogynistic sexist pigs who take pleasure in harassing women who are in the video game industry and intimidate females who play video games. The second story is about gamers wanting ethics in video game journalism. The gaming news staff have become too chummy with gaming companies and it’s become incredibly difficult to trust the reviews as they have become biased. Like the entire Gamergate brouhaha, I’m of two minds on the topic. But don’t worry; I will take a side by the end. First, I got to talk about the misogynistic side of gaming because I know a thing or two about it. Being a girl, I have been a victim of some hate just because I enjoy the hobby. 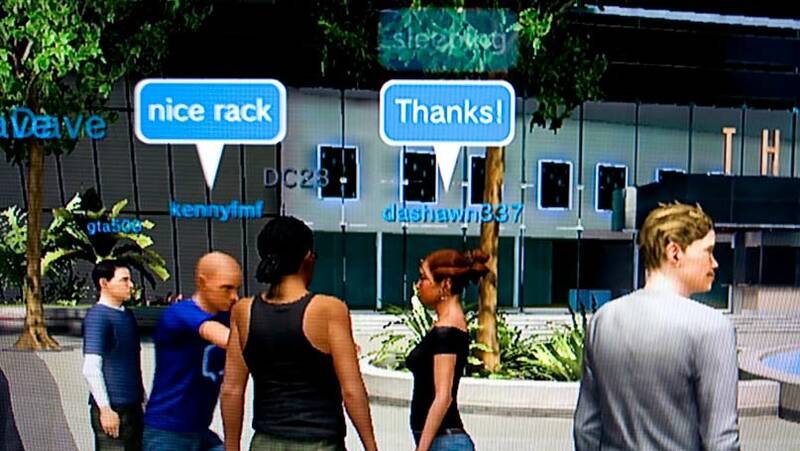 I’ve detailed my adventures during the early days of PlayStation Home and how guys would think it’s the norm to ask me to mate with me from out of the blue! Be careful when you talk to strangers. But… is this Gamergate? Well, some people are saying this is the main tenant of the movement. Attacking women in the gaming world is the main goal of Gamergate. The people that are against Gamergate always tout this. Their proof? The vicious attacks on female that spoke about the misogynistic behavior of the gaming population! Gaming essentially has become a battle between the sexes… with the white,privilaged male dominating the war. Of course, the people that are pro-Gamergate quickly state that this simply isn’t true. They blame the so-called “social justice warriors” for muddying the waters. They accuse these “social justice warriors” for turning their pure intentions into something evil. And what are their intentions exactly? Well, they want ethics in games journalism! They want gaming news sites to report everything; from the good and the bad. They want them to give unbiased reviews, unclouded by their connections with the head honchos of the gaming world. And, honestly, isn’t this something worth fighting for? So, like I said, I’m of two minds on the entire Gamergate thing. For one, I totally get that there is this dark side when it comes to the gaming community. There are some male gamers like to make female gamers feel small. They want to “put women in their place,” so to speak. And that frightens me. Bet they love this ad! But, in my opinion, that’s not what Gamergate is. Yes, there are those that like to harass women but that’s not exclusively for females who like video games! That kind of misogyny is all over the world! Yes, even in this modern day of age, where we like to think everything is equal and politically correct. Sadly, it’s not. However, this is veering away from why Gamergate was established and gaming news sites have been turning the topic on its head to focus on the misogyny… which isn’t the point! Because of this, Gamergate even created their own hashtag decrying this practice. #notyourshield. From what I know, pro-Gamergaters are claiming that the news outlets are focusing too much on the misogyny angle and totally ignoring the outcries against corruption in the gaming industry. Essentially, gaming journalists are “shielding” themselves from the real issue! 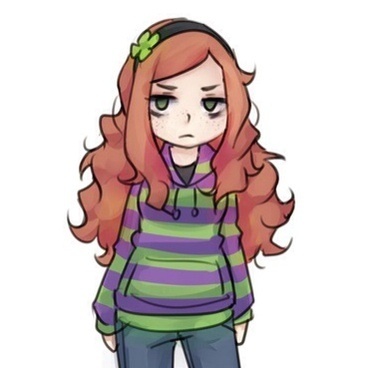 Pro-Gamergates have even created their own mascot… who just so happens to be female! Overall, my take on Gamergate is, yes, I’m with the pro-Gamergate crowd. I totally agree with the #notyourshield concept. At its truest form, Gamergate’s intentions are noble and corruption in the gaming world (and of any kind) should be eliminated. Gamers should get the facts and nothing but the facts without the story being spun into propaganda. But, at the same time, I do think the anti-Gamergaters mean well but are so severely misinformed. Just because there are a few sexist gamers, that doesn’t mean the entire gaming community is like this. Don’t lump us into this disgusting minority! So, now that my 100th episode is over, what should I write about next week? Well, why not I talk about what I expect for the next 100 episodes! Where do you fall on the Gamergate issue? Let me know in the comments section below!